The current US expansion is in its 87th month -- longer than all but three of the eleven post-war expansions and 28 months longer than the average post-war recovery. And as the expansion continues, it's reasonable to ask whether the chances of a recession are increasing with the age of the recovery. As far back as last December's post-FOMC press conference, Yellen was asked just this question, to which she replied, "I think it’s a myth that expansions die of old age." But nine months later, with the policy rate no greater now than it was then, it's worth revisiting this issue, particularly ahead of this week's FOMC meeting. Yellen's views are likely influenced by the work of San Francisco Federal Reserve Research Director Glenn Rudebusch, who recently published an Economic Letter on this topic, updating his research with Francis Diebold from 1990. In the update, Rudebusch concludes, "a long recovery appears no more likely to end than a short one." In more technical terms, he explains, "a statistical test cannot reject the hypothesis that ... the probability of a recession in any month is independent of the age of the recovery." But is the situation really that straightforward? In this post, I'll consider Rudebusch's conclusion in light of the small sample size available. And as a check, I'll apply a related approach to see whether it produces the same results. I'll conclude by considering the implications for the upcoming FOMC meeting and for the financial markets more generally. the probability density that one would expect to observe for recovery durations if recession risk were dependent on the age of the recovery. In particular, under the first assumption (Rudebusch's null hypothesis), we'd expect the histogram of actual duration data to look like the blue probability density in the figure below. Under the second assumption (Rudebusch's alternative hypothesis), we'd expect the histogram to look like the red probability density in the figure below. Which of these two densities more closely matches the actual data? It turns out that with only eleven observations, the answer depends on the way we construct our histogram. The next graph shows a histogram with four bins, giving the impression that recession risk does not depend on a recovery's age. The next graph is produced using the same data but with five bins rather than four. In this case, we get the impression that the data more closely matches the red probability density -- ie,, it appears as if recession risk does increase with the age of the recovery. Of course, econometricians don't reach conclusions by eyeballing histograms, and Rudebusch bases his analysis on a specific nonparametric test statistic used to differentiate between these probability distributions. Based on this statistic, Rudebusch finds that he is unable to reject his default assumption that the probability of entering a recession is independent of the age of the expansion. Rudebusch's test statistic has two quite useful properties. First, it doesn't depend on any particular assumption about the nature of the dependence between the age of the recovery and the probability of entering a recession. For example, the intensity of recession risk could increase linearly with the expansion's duration, or it could increase logarithimically with the expansion's duration. Or it could follow some other pattern. Second, this test statistic doesn't require us to have a good estimate of the expected duration of the recovery. However, these two benefits come with a cost -- namely, that this test statistic isn't such a reliable discriminator between our null and alternative hypotheses (ie, between the red and blue lines above). In statistical terms, we say the power of the test is low. For example, consider this next histogram, showing durations of simulated expansions under the explicit assumption that recession risk increases with the age of the expansion. Because it's humped rather than monotonically decreasing, I'd be inclined to conclude that this histogram more closely matches the red probability density in the first graph above. And of course that's to be expected, because we simulated this data from a model in which recession risk increases with the age of the recovery. But the value of Rudebusch's test statistic in this case, at 0.153, is only in the 83rd percentile of the test statistic density for a sample size equal to eleven. (I simulated the test statistic from our simulated expansion data.). In other words, this test statistic is telling us that the probability that this simulated data displays duration-dependence is only 0.83. That probability sounds meaningful -- and it is, in the general sense of the word 'meaningful'. But statisticians have been trained to use cut-off levels of 0.90 or even 0.95 for rejecting null hypotheses. And someone using a critical rejection probability that high would conclude that the data fails to reject the null hypothesis -- ie, he would conclude that the data does not display age-dependent recession risk. In his recent Economic Letter, Rudebusch doesn't mention the critical threshold he uses to draw his inference regarding recession risk. But the value of the test statistic I calculate using post-war expansion data is 0.175, putting it in the 90.6 percentile of the simulated test statistic distribution. In other words, if recession risk really were independent of the age of an expansion, the probability of observing this test statistic with a sample of eleven observed expansions, would be only 0.094. As a result, it appears considerably more likely to me that the data came from a probability density like the red one above -- ie, that the risk of entering a recession does depend on the age of the expansion. Rudebusch's nonparametric approach avoids making a specific assumption about the functional form that recession risk intensity might take. But if we're willing to make an assumption about this dependence, we can use more powerful test statistics to differentiate between our two hypotheses of age-dependent and age-independent recession risks. Here, x is the duration of the recovery; lambda is a scale parameter determining the length of the typical duration; and kappa is the parameter determining the rate at which the intensity of recession risk increases over time. If kappa has a value of 1, then there is no change in the intensity of recession risk with the age of the recovery. If kappa has a value greater than 1, then the risk intensity of a recession increases with the age of the recovery --ie, recoveries do die of old age. As a starting point, we can choose lambda and kappa so that the expected value and standard deviation of this probability density match the sample mean (58.4 months) and sample standard deviation (35 months) of the eleven post-war recoveries in our sample. In this case, we obtain a value of lambda of 65.5 and a value of kappa of 1.72. So already, in our effort to match the mean and standard deviation of the theoretical and empirical distributions, we get an estimate of lambda that is well above 1 -- consistent with recession risk being dependent on the age of the recovery. A more precise way to determine these parameter values is to use maximum likelihood estimation. In particular, given our sample of eleven recoveries, the maximum likelihood estimate of lambda is 65.9, and the maximum likelihood estimate of kappa is 1.84. An estimate of 1.84 suggests the actual value of kappa is probably well above the level of 1 -- consistent with the conclusion that recession risk does depend on the age of a recovery. But it also could be the case that our estimate of kappa is simply too imprecise to reach a conclusion, particularly given our limited amount of data. To address this issue, I simulate a sample of estimates from a sample of recovery durations, all produced under the assumption that the value of kappa is 1 -- ie, that recessions don't die of old age. (In these simulations, the value of lambda is set equal to the maximum likelihood estimate of lambda given the actual data, under the assumption that the value of kappa is equal to 1.) This allows us to ask the question: Assuming recessions don't die of old age, how likely is that we'd observe an estimate for kappa of 1.84? As it happens, under the maintained assumption that kappa is equal to 1, the probability of obtaining an estimate of 1.84 from a sample size of 11 is 0.046. In other words the probability that we'd obtain an estimate for kappa of 1.84 in this case is just under 5%. We can reject the assumption that recession risk is age-independent in favor of the hypothesis that recession risk is age-dependent, with more than a 95% level of confidence that we're reaching the correct conclusion. Applying Rudebusch's nonparametric approach to the eleven post-war economic recoveries, we concluded that recession risk does depend on the age of the recovery, with a 90.6% degree of confidence. By making an assumption that the intensity of recession risk increases linearly with the age of the recovery, we were able to reach the same conclusions with a 95.4% degree of confidence. But the point here is that even with a limited amount of data, it seems more likely that recoveries die of old age than that they never grow old. And this result seems fairly robust to whether one takes a parametric approach or a nonparametric approach. Why might Rudebusch conclude otherwise? I can think of two reasons. First, it's possible he's applying a relatively strict cut-off value for rejecting his null hypothesis that recessions don't die of old age. For example, if he insists on being 95% confident in rejecting the null hypothesis, then even a test statistic with a probability value of 0.094 will cause him to accept the null hypothesis that recessions don't die of old age. But in this case, we might ask whether age-independence is the more appropriate hypothesis to designate as the default assumption. And we might ask whether such a strict cut-off value is really warranted in this situation. Second, the approach taken here differs in two other respects from the approach reported by Rudebusch. First, he uses a truncated probability density to reflect the view that the NBER business cycle dating committee will not identify a business cycle peak only a few months after a trough in the cycle. This appears to be standard practice in the literature, though I don't see an especially strong motivation for doing this when I read the Business-Cycle Dating Procedure from the NBER. Second, he includes the ongoing recovery in his sample, whereas I've excluded it in this analysis, since we haven't yet observed the duration of this recovery. On the other hand, we know that the duration is at least 87 months, and perhaps this data should be included. But if we're going to reach a different conclusion on the basis of a single observation, perhaps we should be less confident than was Yellen when she labelled age-dependence a "myth". At any rate, it's clear there is room for further analysis into this issue, and I'll be happy to post further results as and when I consider the effects of truncation and the inclusion of the current recovery in the data set. When should we expect the next recession, and what value should we expect for the policy rate when the next recession arrives? Various FOMC members have discussed the importance of being able to lower the policy rate sufficiently in response to the next recession. But in order to lower the policy rate sufficiently, FOMC members first need to raise it. For example, if the FOMC raised the IOER by 25 bp at every meeting with a scheduled press conference (ie, four meetings per year), starting with this week's meeting, the IOER would be 2.5% by the time the next recession was expected -- assuming recession risk depends on the age of the recovery. And given the current low likelihood of rate hikes at both the September and December meetings this year, a more reasonable expectation for the policy rate would be 2.25% -- a level that doesn't give the FOMC much room to maneuver with the onset of the next recession. On the other hand, FOMC members clearly don't want to increase the IOER so quickly that they trigger a recession. Their task then is to navigate between the Scylla and Charybdis -- neither hiking so quickly that they catalyze the next recession nor hiking so slowly that the get caught with insufficient policy ammunition when the next recession arrives. Of course, Yellen has told us that she believes recession risk is independent of the age of a recovery. And to the extent that view is more generally shared among her colleagues on the FOMC, they may be inclined to move more slowly than four 25 bp hikes per year -- though the most recent set of interest rate projections offered by the FOMC is consistent with four such hikes per year. But on the other hand, given the desire for the IOER to be at least 3% by the time of the next recession, as per David Reifschneider's paper, Gauging the Ability of the FOMC to Respond to Future Recessions (cited by Yellen at Jackson Hole), it strikes me as quite likely that FOMC members will hike at a faster pace than is currently reflected in the graph below, showing current Fed Funds futures pricing along with the most recent set of interest rate projections from the FOMC. Given market pricing, and given the interest of many FOMC members in raising the IOER suitably before the onset of the next recession, I believe it makes sense to sell Fed Funds futures contracts expiring in 2017 and 2018, though liquidity in that complex is modest further along the curve. As a more liquid alternative, I would suggest paying fixed in the OIS swap market in the <2Y segment. For example, the 2Y OIS rate is currently 0.65% -- only 25 bp above the current Fed Funds rate. Given the paucity of data, we can't be certain that recoveries die of old age. But our analysis of post-war recoveries suggests a considerable likelihood that they do. In particular, I don't believe the data supports Yellen's claim that age-dependence is a "myth". More important, I don't believe the majority of Yellen's colleagues on the FOMC can be confident about this conclusion either. Given the proximity of the upcoming Presidential election, I suspect most FOMC members will opt for a 'lame duck hike' at the December meeting rather than risk triggering a bout of market volatility with potential to affect the outcome of the election. Looking beyond 2016, I suspect the actual path of the IOER will be lower than the path most recently forecast by FOMC members but greater than the path currently consistent with pricing in the market. Today's BIS Quarterly Review includes an informative article titled, Covered interest parity lost: understanding the cross-currency basis, by Claudio Borio, Robert McCauley, Patrick McGuire, and Vladyslav Sushko (henceforth BMMS). In particular, the authors argue that the demand for borrowed dollars has increased while balance sheet restrictions have tightened, limiting the ability of firms to take advantage of the the widening in cross-currency basis swap spreads. I've been making a similar point lately, though with a slightly different emphasis than the authors of this BIS article. So in this post, I'll highlight some of the more interesting aspects of their article, comment on a few areas in which my perspective differs slightly, and consider implications for the market. BMMS approximate dollar funding gaps in the banking sectors of eight countries, by subtracting stated dollar liabilities from stated dollar assets on the consolidated, global balance sheets of banks headquartered in each country. They then plot these funding gaps against the basis swap spreads in each currency (against USD), for 3Y tenors. The results are shown in their Graph 3, reproduced here. As predicted, the authors observe a correlation between the size of the funding gap in a market and the size of the 3Y cross currency basis swap spread in that market. BMMS then compared their estimated funding gap for Japan against the 3Y JPY/USD basis swap spread over time. And, as expected, they observe the expected correlation between the funding gap and the cross currency basis swap over time. New regulations affecting money market funds in the US have caused a number of prime funds to convert to government funds, eliminating a key source of dollar funding for Japanese banks. Large-scale asset purchases have compressed credit spreads, motivating US corporates to issue in affected currencies, swapping the proceeds into dollars. Insurance companies and pension funds have increased their interest in "strategic hedging". While I don't disagree with these explanations, I tend to emphasize somewhat different aspects -- particularly unintended consequences of quantitative easing. My sense is that central bank purchases of government bonds in some markets are creating a need for asset replacement on the part of institutional investors and asset managers in these markets, consistent with the portfolio balance channel cited by Bernanke and others since the advent of QE. In some cases, asset managers have been replacing sovereign debt with corporate bonds and even with equities. But another option is for these managers to replace this missing sovereign debt in their domestic market with debt issued by another sovereign in another currency, combined with a cross-currency basis swap, in order to create synthetic sovereign debt denominated in their domestic currency. In fact, this seems rather natural to me. For example, if I were running a pension fund that sold a 30Y Bund to the ECB, I'd view a 30Y Treasury, swapped into EUR, as a closer replacement for this bond than, say, an equity investment in BMW or Siemens. The issuance of euro-denominated corporate debt works via a related mechanism. As the ECB creates somewhat of a vacuum in the EUR debt market, issuers like Apple help fill the void by issuing in euros and swapping the proceeds into dollars. Note that this reverse Yankee issuance is functionally very similar to the mechanism described above for sovereigns. Rather than the asset manager buying a dollar-denominated issue and combining it with a cross-currency swap to create a synthetic euro issue, here the foreign corporate issues in euros and uses a cross-currency swap to bring the proceeds into dollars. In one case the issuer is the US government; in the other, Apple is the issuer. In one case, the asset manager arranges the cross-currency swap; in the other, the issuer does. But in both cases, the issuer receives dollar proceeds and the asset manager has a euro-denominated issue. BMMS cite a role played by central banks too. But I tend to give greater emphasis to the direct effect of quantitative easing. For example, rather than ascribing the behavior of asset managers to "strategic hedging", I suggest their behavior is a predictable response to the vacuum created by large-scale central bank purchases. Does the data support the key role I'm ascribing to QE? I believe it does. The first chart below shows the percentage of JGBs held by the Bank of Japan, along with the 30Y JPY/USD cross-currency basis swap (shown on an inverted axis). As expected, the 30Y JPY/USD basis swap spread has widened as the Bank of Japan has increased the share of outstanding JGBs on its balance sheet. The next graph shows the PSPP holdings of the ESCB, along with the 30Y EUR/USD cross-currency basis swap spread, since the start of the PSPP in September of last year. While these correlations don't constitute formal statistical tests, they are consistent with the notion that central bank purchases are creating shortages in domestic markets that are being filled synthetically via foreign sovereigns combined with cross-currency basis swaps. Of course, the Fed also has purchased a considerable percentage of the Treasury market via its own large scale asset purchase program. Might these purchases be enough to create a similar phenomenon in the US and move the cross-currency basis swap spreads back toward zero? In theory, I'd agree that this is a possibility. But in practice, I'd make two points. First, the Fed isn't adding to its holdings currently. And second, the Fed holds a smaller percentage of the Treasury market (16%) than the Bank of Japan holds of the JGB market (34%). But were the Fed to engage in further rounds of QE (perhaps in response to the next recession), the changes in relative holdings would be worth watching. "tighter limits on arbitrage make it harder to narrow the basis whenever it opens up as a result of pressures that reflect underlying order imbalances. In particular, even in the absence of bank funding strains like those seen during the GFC, a sufficiently high net demand for currency hedges could result in persistent deviations from CIP [covered interest parity]." I agree that tighter balance sheet restrictions limit the ability of banks to facilitate the transactions that would narrow these basis swap spreads. In fact, I've argued that these restrictions affect a variety of markets in which banks play a key intermediating role, including the relation between sovereign yields and plan vanilla interest rate swaps. As the BoJ and the ECB increase their holdings of JGBs and EGBs, I expect asset managers will continue to respond by replacing these holdings with debt issued by other sovereigns, in conjunction with cross-currency basis swaps. And I expect corporates will continue to issue in euros and in yen, swapping the proceeds into dollars. But the specific parts of the curve involved will depend on relative pricing. For example, the graph below shows yields of Treasuries, Bunds, Gilts, and JGBs, all swapped into dollars. There is a modest gain from swapping 30Y Bunds into 30Y Treasuries -- and a more significant gain from swapping 30Y Bunds into 30Y Gilts. As a result, I suspect the EUR/USD 30Y cross currency basis swap will widen further, while the GBP/USD cross-currency basis swap will narrow further, continuing the trend shown in the graph below. On the other hand, we see that swapping from JGBs to any of the other sovereigns in the 10Y sector is not advantageous. As a result, as seen in the graph below, the JPY/USD cross-currency basis swap in the 10Y sector has been narrowing relative to the EUR/USD cross-currency basis swap in the same sector, and I expect this trend too will continue while swapping from 10Y JGBs is disadvantageous. Of course, the relative benefits from swapping from one currency to another don't depend solely on the cross-currency basis swaps. They also depend on the relative swap spreads in each of the markets. So predicting changes in cross-currency basis swaps isn't as simple as monitoring the relative yield advantages from swapping. On the other hand, these cross-currency swapped yields are an important piece of the puzzle, and monitoring them is becoming increasing important as central banks continue bond purchases. Williams v Summers: Half Full or Half Empty? SF Federal Reserve President Williams last night delivered an interesting speech with the provocative title, Whither Inflation Targeting? A good portion of his speech echoed comments he made a few weeks ago, in Monetary Policy in a Low R-star World -- namely that the Fed could better fulfill its mandate under a modified monetary regime. But some of his comments pertained to the current policy decision and are worth considering further. Williams starts by addressing employment, noting "a very strong labor market by any standard." Turning to inflation, he notes, "We’re not quite at our target yet, but the combination of fading transitory factors and a strong economy should help us get back to our 2 percent goal in the next year or two." In light of these views, Williams addresses the implication for rate policy, concluding, "...it makes sense to get back to a pace of gradual rate increases, preferably sooner rather than later." Contrast this with the views Larry Summers included in his comments yesterday. On employment, Summers noted, "Private sector GDP growth for the last year has averaged 1.3 percent a level that has since the 1960s always presaged recession." He continued, "Total work hours have over the last 6 months grown at nearly their slowest rate since early 2010." (I addressed this point in Is the US Near Maximum Employment?) As for inflation, Summers observed, "both market and survey measures of inflation expectations continue to decline." What accounts for the discrepancy between the views of Williams and Summers? Is this simply a case of the glass being half full or half empty depending on one's perspective? I believe the divergence in views can be explained in part by the divergence in their motives. As a current FOMC member, Williams shares Yellen's concern that the FOMC may not have sufficient room to reduce the IOER in response to the next recession, in which case the Fed would be subject to political pressure to expand the policy toolkit to include less traditional tools, such as negative interest rates and an expansion of assets available for purchase as part of the Fed's large scale asset purchase program. As we've discussed, various FOMC members appear uncomfortable with such tools -- hence the debate over the existing policy toolkit. In contrast, I suspect Summers' best prospect for replacing Yellen as Fed Chair when her term expires in February 2018 is for the Fed to come under political pressure , without which there would be political pressure for Yellen's reappointment. More specifically, the Democratic party has moved considerably to the left since Summers was Treasury Secretary, and Summers needs to overcome critics such as Elizabeth Warren, who openly supported Yellen over Summers when the job was last available in 2013. By aggressively advocating a more dovish policy than Yellen, Summers may be positioning himself as an acceptable alternative to Yellen when the job is next available. To be fair to both men, I suspect both genuinely believe in their respective positions. But people have a tendency to choose their beliefs to suit their interests, and I suspect Williams and Summers are as susceptible to this influence as are the rest of us. The current incumbents on the FOMC have an interest in raising the policy rate ahead of the next recession to a level that would allow them to mount a sufficient response to the next recession with a combination of lower but positive IOER rates, forward guidance, and perhaps a modest increase in quantitative easing. As a result, I believe they'll make every effort to increase the IOER whenever the data permits -- and this includes financial market data (ie, asset prices). While I suspect the won't be able to hike as much as implied by the latest dot plot (or Yellens' fan chart), I imagine they will be able to hike more quickly than suggested by current market pricing -- particularly with the Oct16 Fed Funds futures contract currently at 99.565. But in addition to the usual schism between hawks and doves, we're now seeing an increasingly active debate regarding the strategies and tactics with which the Fed pursues its mandate. On one side we have Yellen and David Reifschneider, deputy director of the division of research and statistics at the Board of Governors, who believe the Fed can continue targeting an inflation rate of 2% with its available tools. On the other hand, we have Williams, Olivier Blanchard, and others who believe the Fed should adopt a new strategy (such as a 4% inflation target or a switch to targeting nominal GDP) -- or at a minimum believe the Fed requires new tools, such as negative interest rates, in order to successfully pursue its objectives. The problem for the market is the uncertainty that this open debate engenders. Williams argues that now is the the time to reconsider these strategies and tactics, given the current performance of the economy. But the market is facing considerable uncertainties already, including a change of administration in the US, Brexit, a constitutional referendum in Italy this November, elections in Germany and France next year, and a review of monetary policy In Japan. As seen in the graph below, volatility in the rates and equity markets is already low by historical standards. It's difficult to see volatility remaining this low given the events on the calendar -- let alone a reappraisal and reimplementation of monetary policy strategies and tools at the Fed. My sense is that the growing debate over monetary policy at the Fed -- and elsewhere -- will only add to financial market volatility in coming quarters. Larry Summers posted an excellent blog entry today, titled The Fed’s complacency about its current toolbox is unwarranted. 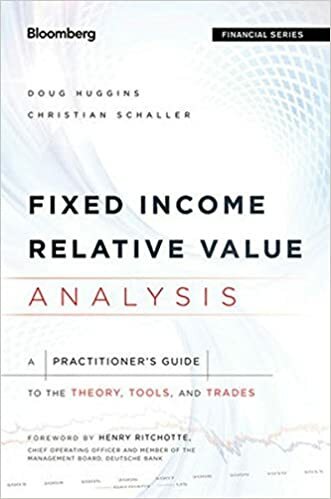 The central message is clear from this title, but it's well worth considering his arguments in some detail, as they help clarify some of the market implications of upcoming policy decisions. The crux of Summers' argument is a refutation of the most influential paper at Jackson Hole that wasn't on the agenda -- David Reifschneider's aptly titled, Gauging the Ability of the FOMC to Respond to Future Recessions, upon which Yellen drew heavily in her Jackson Hole speech, The Federal Reserve's Monetary Policy Toolkit: Past, Present, and Future. In general, Summers takes strong issue with Reifschneider's conclusion (shared by Yellen) that the Fed has ample tools with which to address the next recession. More specifically, he offers five specific critiques worth considering. "distrust conclusions reached primarily on the basis of model results. Models are estimated or parameterized on the basis of historical data. They can be expected to go wrong whenever the world changes in important ways." I've made this point repeatedly myself and believe Summers' concern is appropriate in this case. Summers continues by questioning Reifschneider's assumption that the IOER will increase to 3% before the onset of the next recession. Again, I've made similar arguments, in particular that market-based measures of inflation expectations are unlikely to increase toward their recent averages before the start of the next recession. Summers' third critique is that Reifschneider is too dismissive of his finding that Fed policy will not fare as well given the zero lower bound under the assumption that the Fed will adopt an optimal control policy rather than a Taylor-style rule. While this is an interesting point, it's quite technical, and the Fed hasn't made any clear announcements that it's following an optimal control policy. "I suspect that prevailing views at the Fed about the efficacy of QE and forward guidance substantially exaggerate their likely impact. I don’t think the Fed has taken on board the lesson of the three year period since QE ended. If longer term rates had risen after QE and forward guidance ended, this would surely have been taken as further evidence of their potency. It follows that the fact that term spreads have fallen substantially since the end of unconventional policy ... should lead to more skepticism about their efficacy." Again, I've made this point repeatedly, including in a recent blog post, Yellen at Jackson Hole. But Summers makes an additional, insightful observation about the net effects of QE, increased issuance by the Treasury, and the skewing of issuance toward longer maturities. In particular, Summers refers to work he published as a Brookings paper with Robin Greenwood, George Gund, Samuel Hanson, and Joshua Rudolph: Government Debt Management at the Zero Lower Bound, in which the authors report, "when measured in 10-year equivalents, the combined effect of maturity extension and the increased debt stock far outpace QE." Panel A of Figure 1 in that paper illustrates the point clearly. In his blog post, Summers explains the implications succinctly. "On the issue of QE Greenwood, Hanson, Rudolph and I show that the contrary to much of the discussion during the QE period the stock of longer term public debt that the market has to absorb went up not down. The amount of longer term Federal debt that markets have to absorb is now as high as it has been in the last 50 years and long rates are extraordinarily low, as are term spreads. This calls into question the idea that price pressures caused by changing relative supplies are likely to have large impacts at times like the present when markets are functioning." Fifth, Summers questions Reifschneider's assumption regarding the potential decline in long-term rates with the onset of the next recession. In fact, it's worth quoting Summers at some length to appreciate the strength of his concern on this point. "Reifschneider in his very careful paper shows that with a big recession rates would likely approach -6 percent, or even -9 percent, but for the zero lower bound. I find the idea that forward guidance and QE could do the anything like the work of 600, let alone 900, basis points of rate cutting close to absurd. Both QE and forward guidance are said to work by bringing down longer term rates. The 10 year Treasury is now in the 1.6 percent range. If the Fed returned Fed Funds to its lower bound level in the context of a recession, I would expect to see 10 year rates fall substantially perhaps to 1 percent without any QE or forward guidance. How much room is there for unconventional policy to bring them down further? Reifschneider ‘s assumption that there will be room for unconventional policy to bring down 10 year rates by hundreds of basis points seems to me very doubtful." Again, I find Summers' argument persuasive on this count. So what are the market implications of Summers' critique? First, I suspect there's quite a reasonable chance that Hillary Clinton will win the upcoming election and that she'll appoint Summers to one of the open seats on the Federal Reserve Board of Governors. I also believe there's a good chance she subsequently would appoint Summers as Chairman when Yellen's term expires in February, 2018. And based on his writings in recent years, I believe he would be more creative and provide a greater degree of effective stimulus than his predecessor. In fact, I suspect the Fed's toolbox would be expanded even further under Summers -- but we can look forward to hearing more about his thoughts on that subject in Summers' next blog post. In any case, I believe market-based measures of inflation compensation would be at least 50 bp higher under Summers than they are currently. In fact, this may be a conservative estimate, as these measures are currently well below the averages seen in previous years. Second, as I mentioned in my Yellen at Jackson Hole post, "if the Fed is willing only to use relatively conservative policy tools during the next downturn, we might expect the dollar to strengthen, ceteris paribus, at least relative to central banks that are willing to take relatively more activist policy measures." Summers' critique appears entirely consistent with that view. "...for now, I suspect they'll increase the policy rate at a moderate pace, but with sufficient deliberation to avoid getting caught by the next recession with the rate still close to zero. More specifically, they may not manage to raise the IOER quickly enough to fulfill the expectations in the last dot plot -- or in Yellen's Jackson Hole fan chart. But I wouldn't be surprised if they managed to raise the policy rate somewhat more than is currently priced into the market." Of course, this prediction runs counter to the advice of Summers, who would prefer a more stimulative monetary policy in conjunction with renewed fiscal stimulus. But while Summers' perspective is normative, mine is positive -- and it would appear we have a few more years yet before Summers assumes the Chair of the FOMC. Is the US Near Maximum Employment? Many of the recent comments from FOMC members suggest a desire to increase the IOER by another 25 bp before the end of the year, given favorable developments in the US labor market and recent progress in returning the inflation rate to the 2% goal. The statistic most frequently cited to support the view that the labor market is near full employment (or maximum employment, as specified by the Federal Reserve Act), is the unemployment rate, currently at 4.9%. And as shown in the graph below, this rate appears consistent with the notion that that US employment is fairly 'full', even if it's not reached a maximum. On the other hand, skeptics often note that the labor force participation rate has been declining, to 62.8% currently, down from 67.3% in the first half of 2000, suggesting a pool of available labor may be available to rejoin the labor force in the event labor demand increases further. This last argument is often rebutted by referring to demographic changes over time, primarily those relating to age and gender given the post-war demographic bulge and the trend increase in the female participation rate throughout the latter half of the 20th century. In an attempt to control for these changes, we show the percentage of men aged 25 to 54 who were employed over time (determined by combining various series from the Bureau of Labor Statistics). The much-discussed downward trend is clear. The percentage dropped precipitously at the start of the last recession but has been increasing fairly steadily in recent years. Despite the recent increase, the figure still has not recovered to the lowest point in any cycle shown -- in nearly 70 years of data. In other words, whether we consider the labor force participation rate for the entire population, or we attempt to control for changing demographics, we get the sense that the labor force could increase in size by roughly five percentage points (ie, an increase in employment closer to 6% greater than current levels) before employment should be considered to be at 'maximum' -- at least if history is any guide. A variety of factors appear to be contributing to these trends, but two particularly interesting aspects are cited in a recent White House discussion paper, titled The Long-term Decline in Prime-Age Male Labor Force Participation. The first graph below shows labor force trends by birth cohort. Note that in addition to the standard decline with age, we see a decline over time -- ie, each cohort has a lower participation rate than the previous cohort, even controlling for age. The next graph shows participation trends by level of educational attainment. Note that while the trend has been downward for each of the three groups represented in this graph, the rate of decline is proportional to educational attainment, with the participation rate decreasing most for those with a high school education or less. Taken together, these graphs are consistent with scenarios in which increased global competition over time among workers with less education results in wage pressures that motivate an increasing number of men in these cohorts to exit the labor force. While this interpretation also is consistent with many documented wages trends, I mean it only to be suggestive in this case, as my argument here doesn't rely on the specific mechanism responsible for the declines in labor participation rates. Rather, my argument is that the pool of available labor in the US is larger than one might infer simply by referencing the headline unemployment rate. Of course, this argument isn't original. In fact, numerous members of the FOMC have discussed it in various speeches. For example, Governor Powell discussed this view at some length at a speech in June of this year. Governor Brainard discussed it in a speech in May. And Rosengren discussed it in a speech this April. But if FOMC members are generally aware of these issues with the labor force participation rate, why are so many set on raising the policy rate at the moment, especially when inflation has been below target for such an extended period and when wage gains have been fairly disappointing for so many for so long? My sense is that FOMC members are confronted with political considerations in additional to economic considerations. If FOMC members don't manage to increase the IOER much further before the onset of the next recession, members will have little scope to reduce the policy rate in response, particularly if they wish to avoid negative policy rates, as Yellen noted at Jackson Hole. Yet FOMC members are certain to feel pressure to act forcefully during the next recession. And if there's little scope for reducing the policy rate, pressure will increase to take other measures, such as widening the scope of assets purchased as part of an expanded LSAP program. Even a forceful formulation of forward guidance would pose unwanted risks for the Fed, as Yellen outlined at Jackson Hole. And it's clear that the Fed has no intention -- or legal means -- of engaging in outright monetary financing. So engineering a material increase in the IOER would give FOMC members space to react to the next recession in a way that would soften political pressures that otherwise could be exerted. So I expect that policy decisions will in fact be data dependent (including a dependence on financial market data). And I suspect quite a number of FOMC members otherwise would like to indulge a bias toward allowing the labor market to build strength sufficient to see an increase in real wages and perhaps even in unit labor costs. And perhaps they'll have a greater chance to indulge this tendency provided the expansion continues long enough and with enough vigor for the FOMC to increase the policy rate comfortably off the zero lower bound. TK: "There is a raging debate about the efficacy of negative interest rates for central banks, for governments, and again for banking itself. What about the efficacy of negative rates for savers and the people of these different nations?" SF: "Well, clearly there are different responses to negative rates. If you're a saver, they're very difficult to deal with and to accept, although typically they go along with quite decent equity prices. But we consider all that and we have to make trade-offs in economics all the time and the idea is the lower the interest rate the better it is for investors." I suspect Keene is too much of a gentlemen to call Fischer on that response, so I'll note that Fischer's response is trivially true of the price of most any asset that can be valued via discounted cash flows. For example, the graph below shows the price of a US principal STRIP maturing in February 2036, along with the level of the S&P 500 over the past three years. The correlation between the two over this period has been 0.79. A simple regression of the S&P 500 value on the STRIP price produces an R-squared value of 0.62, suggesting 62% of the total variation of the S&P 500 index over the period could be explained by the variation in the STRIP price. I'm not suggesting one can or should build an equity valuation model based on STRIPs prices. And the simple regression I've suggested is fraught will all sorts of econometric problems. But it highlights the underlying vacuity of Fischer's comment. For example, if Fischer had observed that negative policy rates "go along quite decent" with zero coupon bond prices, presumably even a gentleman like Keene would raise an eyebrow. Again, this is a rather crude analysis, but there's nothing here to suggest extraordinary measures have been increasing corporate profits. My sense is that too many people are confusing a decrease in future expected returns with an increase in expected future profits. If equity prices increase because of upward revisions to estimates of future corporate profits, that's good news. If equity prices increase because future expected returns are decreasing, that's not good news -- at least not for people with investment horizons that include the period of lower expected returns. Investors are simply having to pay more for future expected profits. If I were an investment adviser with a client who wanted to increase his current consumption because his retirement investment in 2036-maturity STRIPs had increased in value, I'd be guilty of malpractice if I told him this was a good idea. Why is Stanley Fischer suggesting with a smile that negative policy rates "go along with quite decent equity prices"? Tom Keene asked a serious question, We all deserve a serious answer. My view is that the no central banks exert much influence on expected future returns, which are determined instead by the market-clearing actions of savers and investors. Expected future returns aren't low because central bankers have been keeping policy rates low. Rather, central bankers have been keeping policy rates low because low rates are required these days for there to be any chance that the markets for savings and investment will clear. The real shame in Fischer's answer is that it obfuscates the issue, maintaining an exaggerated impression of the importance of central bankers and creating a false impression in the minds of policy makers and the public that we can enjoy better economic performance without reforms. And with that in mind, the real issue facing bond market investors in the coming months is not whether FOMC members will choose to hike in September or December -- it's the choice voters make in November, and the potential for more fundamental reform during the 115th US Congress. "... in light of the continued solid performance of the labor market and our outlook for economic activity and inflation, I believe the case for an increase in the federal funds rate has strengthened in recent months." "Of course, our decisions always depend on the degree to which incoming data continues to confirm the Committee's outlook." Combining Yellen's comment with recent comments from other FOMC members, the overall impression is that the policy rate is likely to increase by another 25 bp at either the meeting ending September 21 or the one ending December 14. But the main point of Yellen's speech, titled "The Federal Reserve's Monetary Policy Toolkit: Past, Present, and Future", is to consider future policy frameworks, consistent with the theme of this year's symposium, "Designing Resilient Monetary Policy Frameworks for the Future." In this regard, perhaps the most informative aspect of Yellen's speech was the inclusion of a fan chart for future policy rates. "Bullard has a point in noting that actual market outcomes have been well below the FOMC projections since the advent of the dot plots. As FOMC communication policy continues to evolve, it's not hard to imagine the dots being replaced with something relying less on point estimates, such as the repo rate fan charts provided by the Riksbank." In this sense, Yellen's fan chart can be seen as a response to the critiques of Bullard and others that the dot plots have failed systematically to forecast actual outcomes or, apparently, to influence market pricing. With Yellen's speech, I suspect the days of the dots are numbered, to be replaced by the fan chart, which has long become a standard communication tool among a number of central banks. This particular fan chart is notable for two other characteristics First, the width of the fan is a function of the root mean square prediction error of private and government forecasters over the past twenty years. In other words, the width of this fan chart is not necessarily an indication of the current forecast uncertainty in the minds of Yellen or of her colleagues on the FOMC. Of course, it could be that their best guess of the current forecast uncertainty is equal to the prediction error over the past twenty years – but that certainly need not be the case. For example, the forecast uncertainty could come from a calibrated DSGE model instead, In this case, Yellen seems merely to be clarifying that there is a considerable degree of uncertainty around policy rate forecasts in general rather than characterizing the degree of uncertainty that she believes characterizes this particular forecast. Second, the fan chart is constructed so that there is no probability mass whatsoever lower than 0.125%. In other words, Yellen is offering an explicit view that the policy rate will not become negative. Again, she needn’t have made this choice. She could have made the fan chart symmetric around the central values, in which case a nontrivial probability would be associated with negative policy rates. As a result, we have yet another clear example of Yellen explicitly steering us away from negative rate scenarios. In the same context, it’s also worth noting that in the text of the speech Yellen refers to the zero lower bound rather than to the effective lower bound, a term used for example by Benoît Cœuré in his remarks, Again, we get a clear indication that Yellen does not wish to introduce negative interest rates into the mix of potential policies actively being considered. To the extent Yellen is successful in further reducing the perceived, subjective probabilities of negative rate scenarios in future Fed policy, this should impart a slight upward bias toward higher rates along the yield curve (assuming such a reduction has no effect on term premia along the yield curve, due for example from further QE). For the same reason, such a reduction would be expected to impart a slight upward bias in the dollar, in particular relative to currencies in which policy rates are currently negative or in which there is a realistic prospect of negative policy rates in the future. This effect should be modest given that Yellen has previously steered market participants away from consideration of negative policy rates in the past. But it's worth keeping in mind as the policy debate progresses. One of the reasons Yellen has been able to avoid entertaining the possibility of negative nominal policy rates is that she's been relying fairly heavily on forward guidance and large-scale asset purchases. However, my sense is that trust in these tools may be somewhat misplaced. "We have found that explicitly modeling the role of the central-bank balance sheet in equilibrium determination need not imply any role for “quantitative easing” as an additional tool of stabilization policy, even when the zero lower bound on the policy rate is reached. While different results might be obtained under alternative theoretical assumptions, our reading of the Bank of Japan’s experience with quantitative easing leads us to suspect that our theoretical irrelevance result is likely close to the truth." "...optimal forward guidance should commit to maintain lower interest rates during the recovery than would otherwise have been warranted by economic conditions. Importantly, the appropriate commitment can be framed as a history dependent policy function responding only to the history of the price level and the output gap, in such a way that the impact on policy decisions of economic conditions at the lower bound continue, even as the economy recovers." In contrast, it's worth quoting from Yellens' Jackson Hole speech on this subject. "...if future policymakers responded to a severe recession by announcing their intention to keep the federal funds rate near zero for a very long time after the economy had substantially recovered and followed through on that guidance, then they might inadvertently encourage excessive risk-taking and so undermine financial stability." Of course, Yellen is correct in her analysis. History-dependent monetary policy could have unintended and undesirable consequences. But this is the price one must be prepared to pay for forward guidance to have any chance of being effective. And it's clear from Yellen's concerns that the Fed is likely to hedge its forward guidance commitments -- just as it did when it attempted to use forward guidance starting in 2008, and just as the Bank of England did when it attempted to use forward guidance in 2013. In fact, as an example of forward guidance that was destined from the start to be ineffective, it's worth quoting from the Bank of England August 2013 statement on the subject. "The Committee intends at a minimum to maintain the current highly stimulative stance of monetary policy until economic slack has been substantially reduced, provided this does not entail material risks to either price stability or to financial stability." The MPC then listed three knockout conditions that would free it from this forward commitment, each of which involved the subjective judgment of policy makers. Unless Yellen and her colleagues on the FOMC are willing to commit along the lines outlined by Fischer and Woodford, we shouldn't expect forward guidance to be a particularly effective tool in the Fed's arsenal going forward. If Yellen eschews more activist monetary approaches, such as negative nominal policy rates and monetary financing (helicopter drops), if the effectiveness of QE is questionable (or at least waning), and if her variant of forward guidance is unlikely to make a commitment any less conditional than her previous commitments, what, if anything, can we conclude about policy in the years ahead? Market-based measures of inflation compensation are already low relative to historical values. For example, the 10Y breakeven inflation rate in the US is currently, just under 1.50% -- more than 50 bp below the average over the past five years. Similarly, the 5Y5Y inflation swap rate is just under 2.0% -- 60 bp below its five-year average and 90 bp below the ten-year average of 2.9% from July 2004 through July 2014. When the US economy next enters a recession, my expectation is that QE and the Fed's version of forward guidance are unlikely to boost these rates materially. And while I'm not forecasting the date by which the next recession is likely to start, I'd be somewhat surprised if these market-based measures of inflation have increased by 50 bp by then. Likewise, if the Fed is willing only to use relatively conservative policy tools during the next downturn, we might expect the dollar to strengthen, ceteris paribus, at least relative to central banks that are willing to take relatively more activist policy measures. Of course, a lot can change between now and the onset of the next recession in the US, including the Fed Chair and the composition of the FOMC. But for now we have a clear sense that Yellen has a decided preference for the more modest of the recent policy innovations among central banks, with consequent implications for market pricing.